The year 2018 is about to be over and soon we will be gliding into the next year. If we look back over the last couple of months, we can easily conclude that this time frame has been crucial for blockchain technology. Even though, the market for blockchains’ first cryptocurrency, Bitcoin seemed to dip low the demand for blockchain developers is at its all-time high. 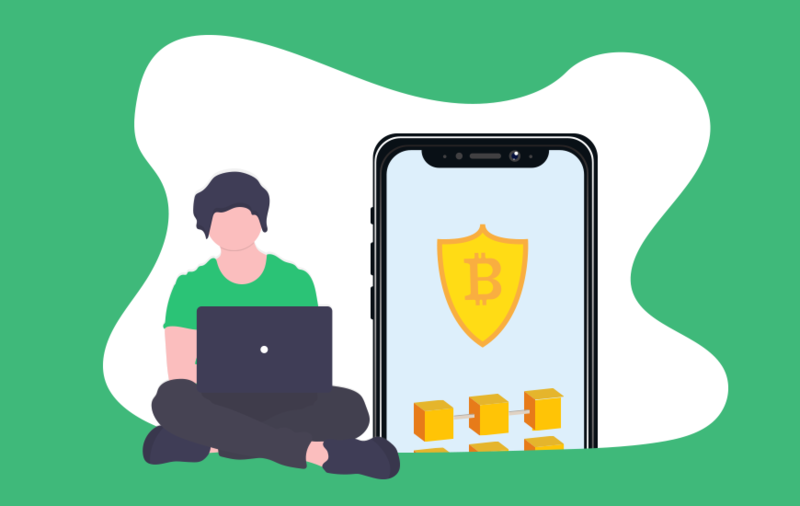 At present, there are many brands and organizations including mobile and web app development companies, who are actively looking for ways to properly optimize the blockchain app developers in their field of work. Due to this increasing demand for blockchain development in the market. 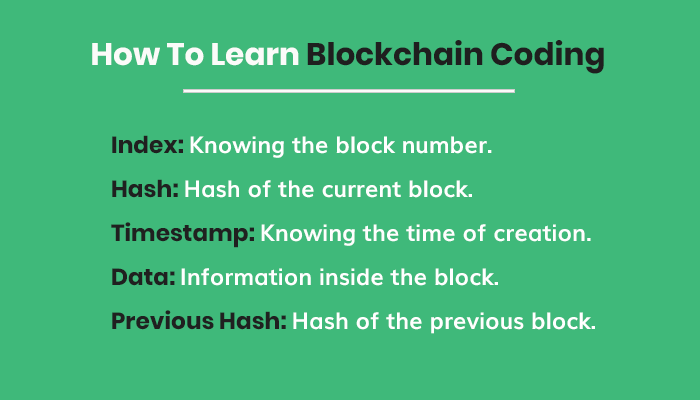 We have decided to write a short guide on ‘How to become a blockchain developer’ and along with this, we will also be providing useful blockchain code tutorials to help you reach that high level of expertise in learning blockchain. So before we move straight to the coding part of blockchain development, let’s start with the basics of blockchain development. Today, the application of blockchain technology can be found in various primary industry verticals, from tracking the accurate position of products to providing management to a global shipping network. 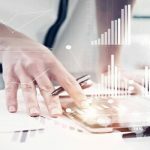 According to a number of experts of the app development industry, it is predicted that the demand for blockchain services in various sectors will lead to a sudden rise in the requirement for tech-savvy blockchain app developers. Looking at the statistics, in a recent report released by Upwork in 2018, it was seen that blockchain is the fastest growing skill on their particular platform and the growth rate by which blockchain development is leading by what is said to be over 6,000 percent. This survey was performed in consideration with the data of the first three months of the year 2018. In the basic definition, blockchains can be described as a decentralized digital ledger that is highly capable of recording information transactions with huge amounts of data. For instance, cryptocurrency is one of the widely popular applications of blockchain technology, where all the different types of transactions are recorded virtually such as shipping data and product information etc. 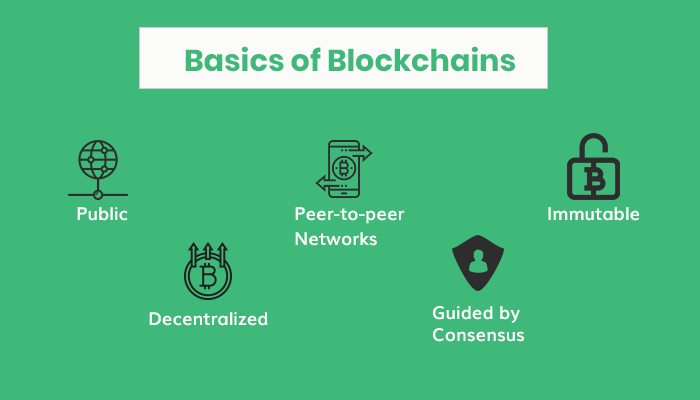 What are the Blockchain Basics? The answer to the question ‘how to become blockchain developer’ cannot be answered until you are familiar with the basics of blockchain development. That’s why it’s time to understand the blockchain basics first. At this point, we know that a blockchain is a digital database that is required to store data, but what about blocks? The information, which is being stored, is further collected into groups and those groups are known as blocks. You can even refer to the blockchain as an excel spreadsheet. Blockchains are public: Yes, the information that is stored on blockchain is public that means everyone can see it. However, not everyone can add some modifications to the information that they can see. Blockchains are decentralized: Instead of being a centralized database, blockchain is a decentralized system that means it has no particular center. In simple words, the data that is being stored in the blockchain is saved across many different computer systems which are also known as nodes. Blockchains have Peer-to-Peer Networks: The networks followed by blockchain are peer-to-peer, which means there is no involvement from third parties such as large-scale corporations like Google or Microsoft. This further supports the statement that a single individual/party doesn’t have complete control over data stored on the blockchain. Blockchain is guided by consensus: This basically means that if an entity wants to add or store new information to the blockchain, then there has to be an agreement from more than of the total nodes for it. This is a step that was initiated to protect blockchain from fraud activities. Blockchain is immutable: The term immutable here can be described as data where changes are not applicable i.e. once the information is added, it cannot be removed or changed by other entities. Another thing that makes blockchain almost impossible to hack is that it is protected by encryption. Now that we have covered the basics of blockchain development, let’s proceed towards the software that’s built on the platform of the blockchain. These software are known as the decentralized applications a.k.a dApps. The first decentralized app that was ever created was developed on Bitcoin’s blockchain and it was based on a peer-to-peer payment system. On the other hand, there are other blockchain platforms such as Ethereum, EOS, and NEO. The main aim behind designing these blockchains was to make them capable of building all different types of dApps. This was the part where Bitcoin was introduced as an alternative to the concept of centralized applications. 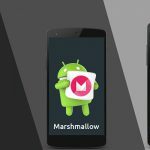 Here, platforms like NEO and Ethereum are encouraging blockchain developers to create alternatives for dApps to widely adapted centralized apps like Uber, Google, Twitter and many more. 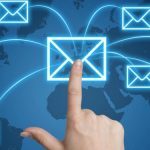 Without understanding the process and the requirement of the whole procedure, there is no foundation for application development. 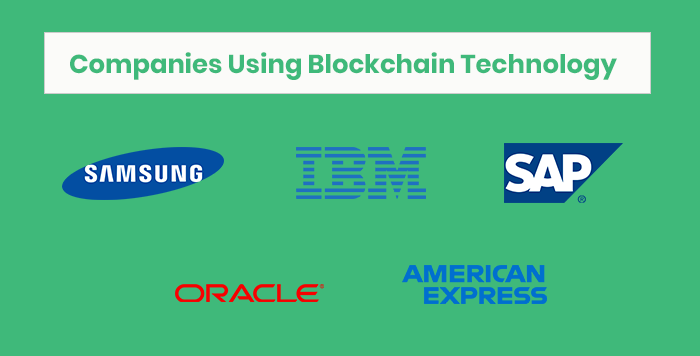 As we know that blockchain is still new in the market and there are many sides of this technology that we are still aren’t aware of. 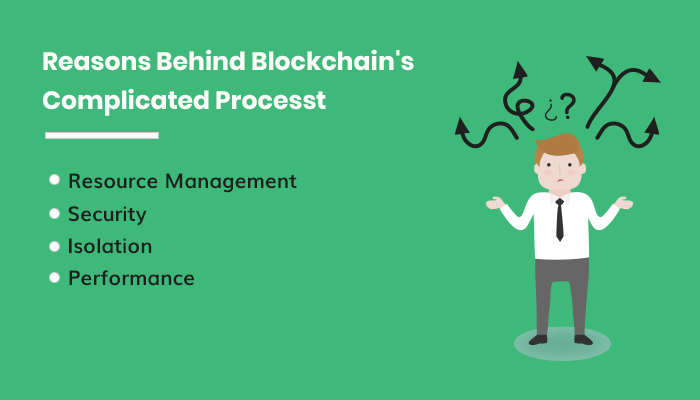 So, in order to start your journey to learn blockchain development, you also need to understand the process and the steps involved in it by making yourself familiar with the concepts of the technology with respect to real-life situations. Decentralized: A blockchain is said to be decentralized when there is no central authority supervising on the system. Consensus Mechanism: A mechanism by which a decentralized network turns into a consensus on various certain matters. Miners: These are the users who utilize their computational power to mine for the blocks. Blockchain: A blockchain is a chain of blocks where each block contains valuable information/data but without any central supervision. In other words, it is cryptographically secure as well as immutable. We also recommend that you read Satoshi Nakamoto’s white paper on bitcoin if you want to gain some in-depth analysis of the technology. Here is the guide link! 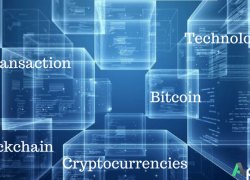 In short, you need to get well acquainted with the important terms and lexicons used in blockchain that can also refer to the technical aspects of the technology. The second step is one of the most crucial steps because today there are many emerging blockchain developers that still haven’t tried their hands on technology in the real world, and this is something that should not be happening. Just like any other technology, blockchain technology is also required to be implemented in the real world to act as a solution to real-life and practical problems. This is how the innovative part of the development process will take place. It is strongly recommended that you start getting acquainted with the system today. For instance, you can go directly to Coinbase and learn about basics related to cryptocurrency and coin exchanging methods. Note: If you are looking forward to buying some crypto coins, then make sure you use an online wallet that is simple and is not too complex to work with. Before we can begin with the coding section, as a blockchain developer you should always prepare yourself with the fact that you may face a lot of issues in the back-end segment as it is still an unexplored territory by many. Resource Management: Because blockchain is all about the decentralized network, it is essential that the app developers are in sync with it. You need to match up with each and every requirement of the network while handling all the queries that may be remote or local in nature. Security: One of the reasons that blockchain is getting widely accepted is because of its security factor. Even though the code of the blockchain is public and everyone can see it but when it comes to modifying the information, they can’t do it. Like any other platform, we also need to find flaws/vulnerabilities, and while doing that time consumption can accelerate as blockchain is huge to look for issues. Isolation: When it comes to blockchain development, all the transaction operations have to be deterministic in nature which can be explained as the sum of a+b should always be equal to c. Under no circumstance, you can have a transaction that behaves in a non-deterministic nature. For example, smart contracts that work in two different ways on two different machines are invalid. Performance: If you are focusing on creating a public blockchain then in order to achieve a great outcome your blockchain must also perform in the highest capabilities that are possible and for that purpose, the developer must select a programming language that is versatile to do so. How To Code A Blockchain? This: The “this” keyword is only invoked inside a function and further enables you to access the values inside a specific object that calls that particular function. Constructor: The constructor is a special type of function that basically helps in creating and initializing an object within a class. Each class is restricted to only one constructor. Now, in the block, all the data gets hashed to a particular block by using the JSON.stringify function to convert that block data into a string. From this string, we can hash the data out. The Genesis Block can be referred to as the first block of the public blockchain, and there are various reasons that make this block special. One of the reasons being that even though every block points towards the previous blocks, the Genesis Block doesn’t point at any block. That’s why when a new chain is created in the blockchain, Genesis Block is invoked in no time. The first thing the developer needs for the addition of new blocks is knowing what was in the last block of the blockchain. This can be found by using the getLatestBlock() function. This all comes back to the deterministic nature of the blockchain that we have previously discussed. To check it out, the developer can compare the previous hash value of the new block with the hash value of the latest block. At this point, the block has been successfully added into the public blockchain so now we need to see if the process was successful or not by validating it. The blockchain validation can be done by checking if the blockchain can be corrupted by any other entity. In this part of the code we are defining two terms, current block and previous block. And now we are simply going to find the hash of these two values. For this, the developer can use the ‘for’ loop to go to the last block or even to the Genesis Block. So if the “previousHash” of the current block is not equal to the “Hash” of the previous block, then this function will return False or in another scenario, it will return True. And this is how to use blockchains and work on the blockchain code, where blockchain developers can build their own cryptocurrency based on the blockchain with this tutorial. To do so, keep on adding more blocks in the blockchain and provide some data to those blocks. So, this was a short and simple guide on how to create a blockchain block and add it to the public blockchain with the help of a blockchain developer tutorial. 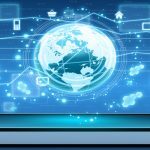 We hope this article provided you with some valuable insights about blockchain technology. The future of blockchain developers seems to be very bright if we look at the current state of demand that various industry verticals have for blockchain development services. There’s much more to come in the field of blockchain so make sure you stay tuned to the upcoming articles of Appdexa.